How to Create a Budget; How To Make A Budget In A Few Easy Steps With A Monthly Budget Worksheet! If you're trying to build a home, you need to know how to create a budget. Building a home entails a lot of household budget planning. You need to know how to make a budget using a sample budget form! How To Create A Budget - A Sample Budget Form, Why Do You Need One At All? Well, we are assuming that you are not the Sultan of Brunei! The main purpose of a monthly budget worksheet is to have an idea about the costs and to control them in the best possible way. You will also understand whether the changes you are planning are feasible. You don't want to realize that it is too costly halfway into your construction project. 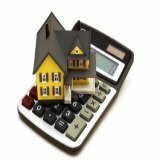 Household budget planning - there are a number of considerations you need to make. For instance, are you going for a house loan, or are you willing to pay for it yourself? If you are applying for a home loan, you should be ready to have at least 20% of the home building cost in reserve savings. Banks are super conservative by nature and want to make sure you will finish the home you start to build. Plan for emergencies - have realistic expectations about your costs. If you are applying for a loan, make sure you include contingencies in your loan amount. Your costs may overrun your estimates. You may decide to add those extra square feet to your living room or plan on something convenient at the last moment. You don't want to be trapped by change orders when you need more money! Hard and soft costs - divide your estimate into hard and soft costs. When you are deciding on how to create a budget, this is one of the first things you need to do. 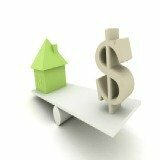 Your hard costs will include the costs of material required to build the house and labor. Soft costs are anything not related to construction or labor. These considerations will guide you in determining the feasibility of the project. Set your priorities - Are you building on a tight budget? If you want certain specifications, make sure they fit into your monthly budget worksheet. If you have to cut somewhere else in your plans to make your priorities a reality, have a list of what is expendable. Insist on a cost benefit analysis - a jacuzzi might be something you have always dreamed about, but if you are only going to use it one month in a year, you might want to give it a second thought! It's always better to build your base house and add exterior additions like a jacuzzi later. Recognize trade-offs when you see them - for instance, what if there's a choice between one builder who will build your home for less than a second builder? You must ask yourself and the builder why they are willing to build for less? Remember, price is not the only consideration, but check the quality of a contractor also. 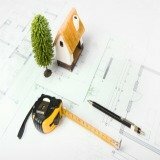 Decide on a builder - when learning how to create a budget, you must keep the thought of a general contractor in mind. If you are planning to secure labor, materials, and expertise yourself, you will save a few dollars if you know what you're doing. However, make sure you have an honest estimate of your abilities. If not, you might just end up paying more! If you have not decided on a contractor, a sample budget form with his profits in the costs will help you make a decision. Let me put it this way; this is a onetime investment you will make and enjoy for decades, hopefully! Surely it's worth a few hours of thought! The site - Investigate the site you where you are building. Investigate any additions or improvements you will need to make. You don't want to be caught unaware after you start building. 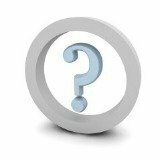 Equipment - If you are renting equipment, ask about the charges you will pay if you need to keep it for a longer period of time. If the penalties for delays are too much, you will need to stick to a tighter schedule. Delivery charges - If you are buying your materials directly from the manufacturer, you may have to pay a delivery charge. Consider reviewing a sample budget form of the items with the manufacturer before you finalize with the provider. Utilities - You will also need to install basic utilities. Check for sewage services, water and other utilities BEFORE you start building. Delays - The biggest danger to your budget comes from delays. Make sure you consider potential land mine areas before you start building. Others - Consider aspects like roof finishes, wall structure, external doors, and windows when you are deciding on a budget. If you plan out all these costs, your monthly budget worksheet will not become a useless piece of paper! Your dream home is just around the corner! Learn how to create a budget and you will enjoy your new home for as long as you wish!